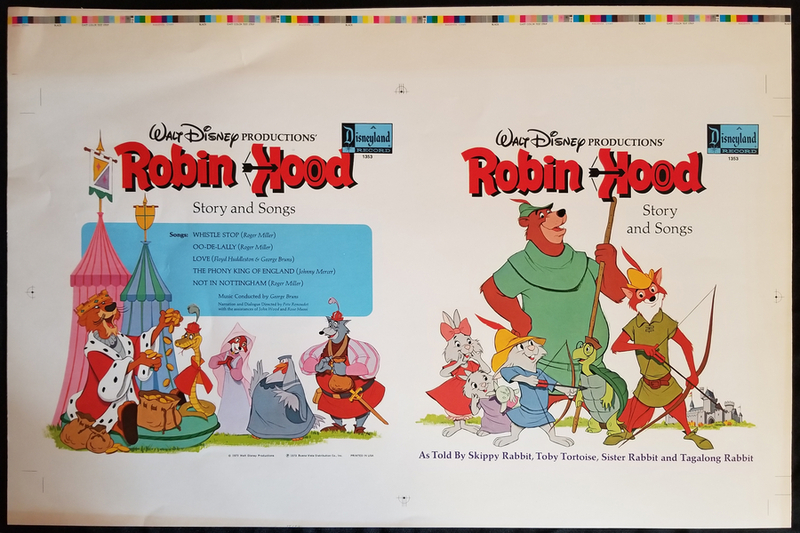 This is a printer's proof for the record sleeve for the Robin Hood Story and Songs record released in 1973. The piece measures 12" x 24" overall and the main image area of rhe cover is 12" x 24". The proof is in fair condition with a crease in the upper left half and discoloration mostly along the top edge.